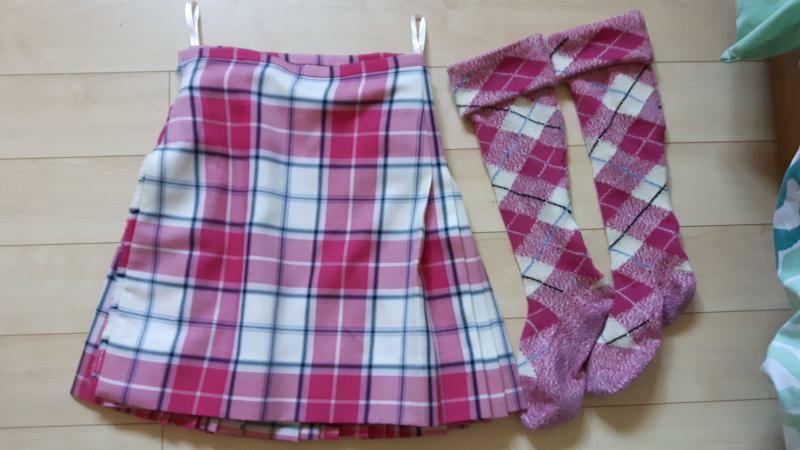 dance.net - Pink St. Kilda kilt and socks (10246891) - Read article: Ballet, Jazz, Modern, Hip Hop, Tap, Irish, Disco, Twirling, Cheer: Photos, Chat, Games, Jobs, Events! St Kilda kilt size 24 and socks. $400. Kilt waist 24 inches smallest. 18 inch length with 3inch hem. Socks made by Bonnie tartan.9 inch heel to toe. 14 inch leg. Worn up till age 13 on dancer with lots of room for growth still. I am interested in this kilt with socks. I sent a PM yesterday. Please let me know if you received it. Thanks!